Learning from Dogs published its first post on July 15th., 2009. In other words 8 years ago. But will we make it 80 years? Bob Derham back in England sent me a possible answer to that question! Very witty, Paul! Although there is a befitting message behind the comic. Life should be fun & full of laughter! Yes, our pets are the perfect antidote to ageism there is! Congratulations on the anniversary. We here at the Ranch think your book will still be viable for a good long time. 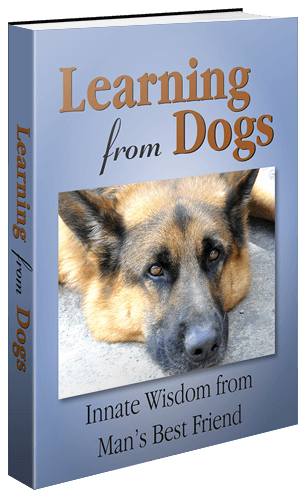 Especially since you are always looking for more ways to learn from dogs. Happy weekend! 😍 Happy blog anniversary, many more! Thank you! Fingers crossed things run on for a few more years! Loved this one and I can speak for an 80 year old. I don’t do any of those things either and I ‘d like to see 95 years. 🙂 I loved this humorous post-made me laugh. Yvonne, a gentleman does not ask a lady how old she is. But I tell you this! Whatever age you are you come across as a very vibrant person. Yes, it is all in the mind, as you say! Thank you, Paul. I just stay interested in life and animal welfare and my own pets. I credit my animals with my ability to remain active and engaged. I keep on going because they need me and I often just will myself to keep on doing what I love. I live with afib but I work hard to keep it in control with meds and the right kind of food. Plus I rest when I’m tired and then get back up for more work with an aged group of pets. I have only a few that are under 5 years of age. My animals are my life and my life saver. As I type right now it is thundering with rain pelting down. On the floor two of my dogs that fear thunder are resting quietly. Both of these are 14 years old. What a beautiful reflection on your life. You reveal such a precious attitude. Not by any means the only one in this place which is why this blog has such a wonderful social atmosphere. Which, of course, is what all those with dogs around them also understand. Demonstrating that loving families can take many different forms. Thank you, Val. That is very kind of you. I’ll raise a glass to that, Sue! Big hugs! !